Robert J. Roberts has a huge problem with the world. In particular he really dislikes people. All people. One day he becomes the unlikely custodian of a magical goldfish and Mr. Robert’s misanthropic view of the world is seriously challenged. Can a person be frustrated into being a better human being? 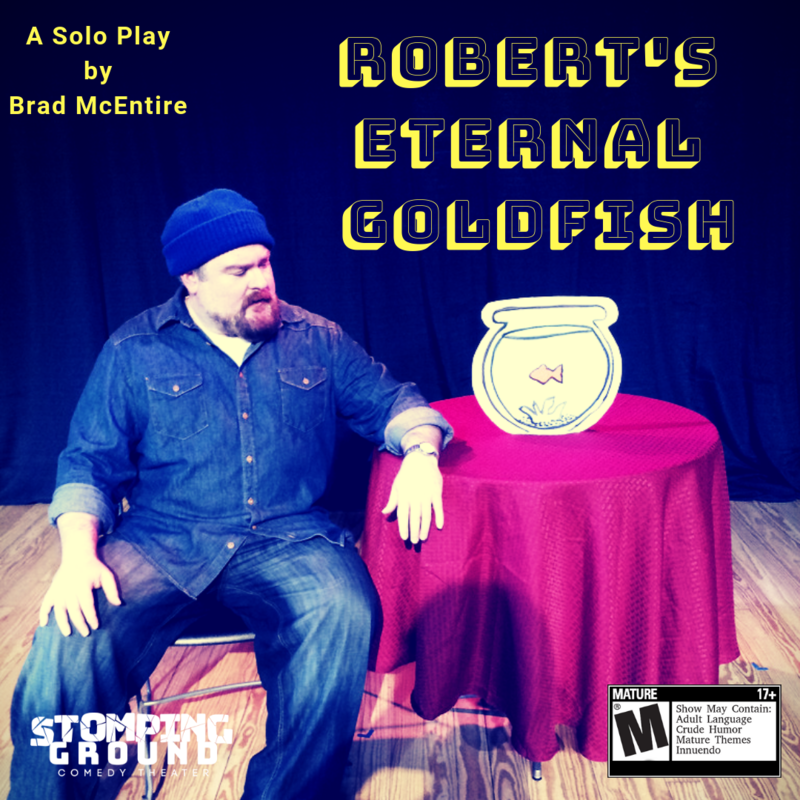 Robert’s Eternal Goldfish is a Solo Play written by local Dallas playwright and performer Brad McEntire. This show is rated M for Mature/18+. Seating begins 15 minutes prior to the start of the show.